Virtual cards VISA Virtual, - a great way to online payments. 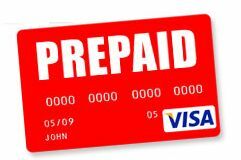 These cards are easy to pay for any goods and services in many foreign shops and services. The card is accepted at most online stores and various online games (both Russian and foreign). The card is not different from conventional plastic Visa Electron, Classic, Gold et al., But in contrast to them when using the card address, name can be arbitrary. However, if the service to receive payments places high demands on transaction security, then the adequacy of their representation in some cases, it is recommended to use the appropriate address authorization (European or American). That is, specify the address in the format prescribed in the United States and Europe. Names such as Bill Clinton, Demi Murr, Bill Gates, and the like can be used. Maps are suitable for payment, Moneybookers, Ebay, Google Adwords, PayPal (Russian only), iTunes, Google Checkout, GodAddy, Amazon, Ozon, Yahoo, DarkFallOnline, PSN RUS, LineAge, WOW RUS, Steam, Ventrilo, AviaNova, Railways, S7 Airlines, SkyExpress, Aeroflot, Vladivostok Air, bestofferbuy, Transaero Airlines Tatarstan, AirBerlin, Ural Airlines, hotels.com, agent.ru, hostelsclub.com, Skype, Liqpay, Forexclub, softkey, dealextreme, sendflowers.ru, VKontakte, Masterhost, Ru-center, PlayStation.com, Half-life, World of Warcraft, Aion, Savage, EVE, Lineage 2, Magic: the gathering Online, Fallen Earth, PokerStars, Fonbet Bookmakers, Apple.com, Efax.com, Mlb .com, WordPress.com, Casino.com, hstore.eu, Fxclub.org, McAfee.com, Microsoft.com, Dreamhost.com, Mysite.com, Namecheap.com, NCSoft.com, Nunames.nu, Plimus.com , PwOnline.ru, RFonline.ru, RZD.ru, S7.ru, Snapnames.com, Skype.com, Pokerstars.net, dealextreme.com, bestofferbuy.com and other online games and shops. The services Epoch.com, PSN (overseas), CCBill.com payment is not guaranteed. When you pay in foreign online stores for the successful completion of the transaction, without any additional checks by the Internet shop - it is recommended to use a real, valid US address, the index must match the address, as well as use an American IP (proxy, socks, VPN, etc.). and the real owner´s name which you can, if requested, to provide a scanned copy of a passport, driver´s license or phone bill. Back to the card in the event of an online store to conduct an operation is possible only in case of their return to the store and note in the statement as a "refund or reversal". Many stores, especially to US, make a pre-authorization amount to 1-5 dollars more than the amount of the payment, and the amount on the card may not be enough. To solve this problem, we recommend taking the card with the stock. The cards are not reloadable, used only as long as there are funds in the account. Check the balance on the cards - free. Order an extract from the authorization codes - free of charge. Balance sheet and statement can only be ordered through our email, the letter must indicate the card number. Validity period 3 months, you have to use the card during this period, the unused balances to the card is not returned. By purchasing the card, you agree to the above conditions. If you are interested in custom card denomination (for example, $ 53, $ 197, etc.). Contact us and we will add it to our list. 25$ MASTERCARD VIRTUAL (RUS Bank) Guarantee.